The living room is the space which the family & guests use to gather! Whether small or big, it should fulfill the basic needs of the room! A perfect living room should be able to function as a space for relaxation as well as entertainment for your family. Small living room ideas for a Flat or an older home with tiny rooms, it’s a major challenge! Small living room should be such that it maximises the light & space. How you use the colour, scale & weight in your room makes the difference! To make your limited space look larger, try some of these decorating small living room ideas! The designers often place mirrors in small places to make them feel larger. One of the most common small living room idea is to hang a large mirror in a central location to create a focal point. To reflect light & good ambience, you can also add a light source such as pendant lamp. If possible, try to place a mirror opposite to the window so that it will reflect the view & give the illusion of another window & bounce light around the room, making space feel airier! You can also use a shimmery lamp, light fixture, or any object which will have a similar effect as a mirror – reflecting light & brightening up space! Must Read: Different Ways to Use Mirror in Home Décor! 02. Draw Your Eye Upward! If your small living room designs has a high ceiling, make the most of the extra space by decorating it in a manner that draws the eye upward. While the vertical space doesn’t help with squeezing in an extra seat but drawing the eye upward will give the impression that your room is far larger & grander & you can fill your vertical space as an art gallery as per your choice! They offer storage space without the bulkiness of bookcases, chests, & cupboards. 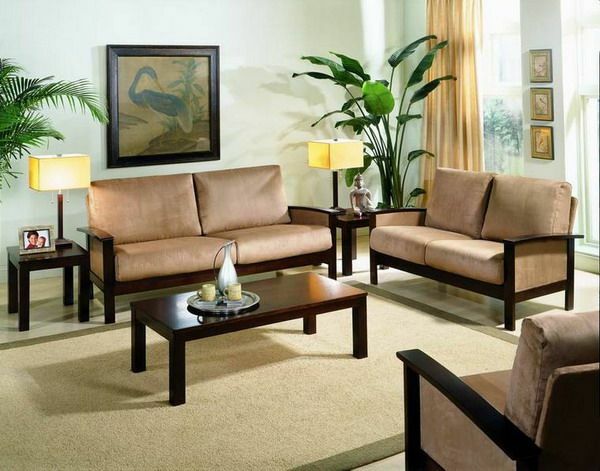 One of the most popular small living room idea is to use light colours on walls, floor, ceiling & furniture upholstery. Softer hues can make a cramped room feel more bigger & brighter. 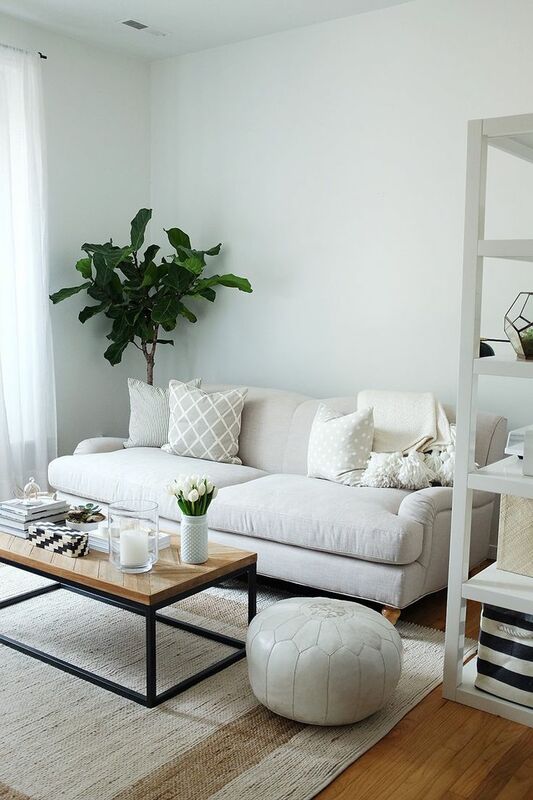 Neutral colour palette of off-whites or beiges can also expand the small space & impart the instant sophistication & create a calming environment in a room. Also Read: 5 Tips For Design Colour Scheme For Your Home! When you shop modern furniture, consider its visual weight. This concept refers to perceive the heaviness of an object based on its size, colour & design. You should pick out the pieces that have a lightweight appearance, as the heavier ones will seem to tighten the small space. For e.g. You can use glass centre/coffee or end tables that take up less visual space than wooden ones & you can see through them. You can also pick an acrylic one table with an open metal base frame. Any furnishings that don’t obstruct views will make the area seem more open! Buying small room furniture on casters (on wheels) will allow you to rearrange the pieces as needed easily, whether that means pushing a chair, table, or kitchen island out of the way or rolling a mattress into a position to comfortably set up overnight guests. You can pick the modern furniture with a built-in storage to limit the clutter. A wooden box or storage ottoman as a coffee table works well. Along the perimeter of the room, you can add a small chest of drawers or a small cupboard instead of a table to boost the storage options. Also Read: 11 Ways to Increase the Storage Space in Your House! In small spaces, the full-size modern sofa won’t work. 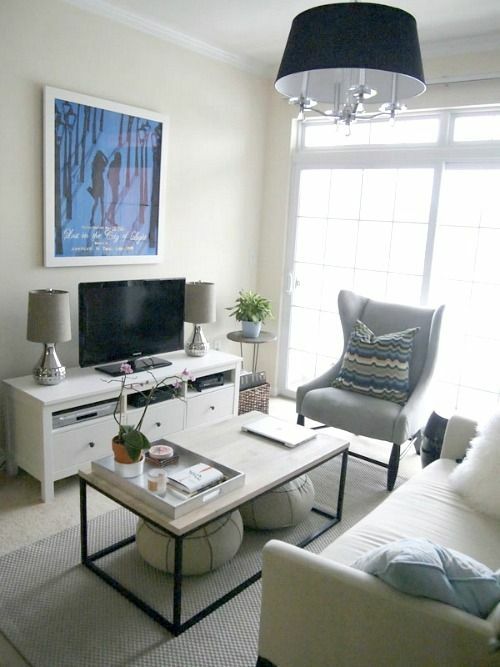 You can choose the small room furniture with clean lines & exposed legs for the airiest look. 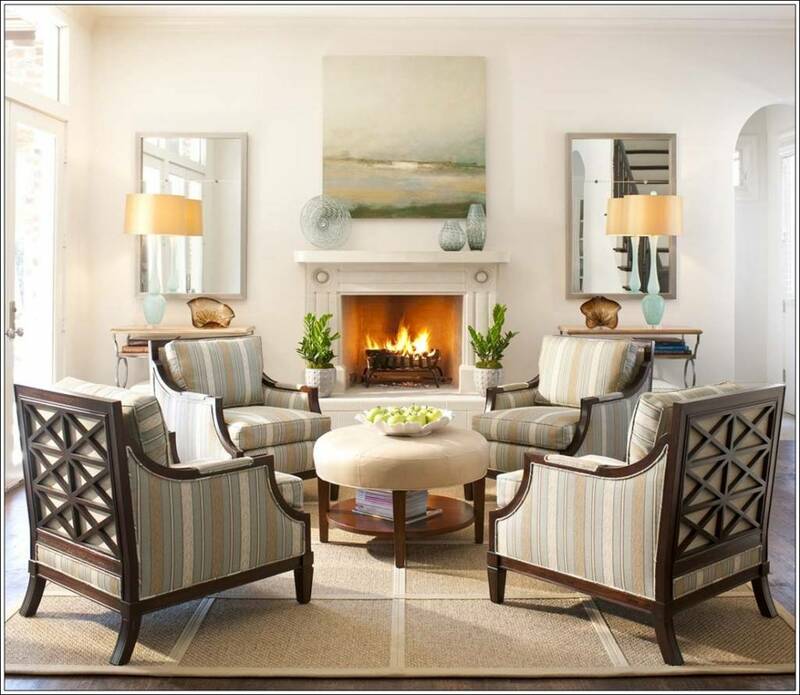 If your space is tight, you can also go for three or four arm chairs arranged in a group around the centre table. It is adorable for small room furniture! In an open-plan space, sometimes the best position for sofa is not on the wall but in the middle of the room. A backless sofa is a very elegant alternative & can be used from both sides & can act as a bonus when seating options are limited. If you want to use it in a larger room someday, it can act as a divider between two seating area. It is one of the smart small living room idea, as this modern furniture can b used for bigger rooms too! Corners in a room are often left open which can be used by adding an accent chair or a corner bookshelf, that makes your room more livable. Choosing the colour of your curtains same like a wall, will get blend with the walls & create an unbroken line, which makes the room feel much larger! Installing the curtain rods few inches away from the width of the window will visually expand the view & make the feel of wider window. The same trick works vertically, to expand the window height, you have to hung the curtain rods few inches above the window, that makes window seems taller. Greenery makes the smallest space feel fresher & lighter. Usually, plants add depth to space. They are more effective for the corners & besides sofas & chairs. If you are living in an apartment, you can also hang it. Following these small living room ideas will really help you to create your living room bigger & alive! 25+ Creative Tips for Your Rooms Makeover!